Bidding adieu to the Splendid 2017...One Last Thursday Night of Madness with the Wild & Vivacious. D-Elite Thursdays at INKA Dubai (Sofitel Dubai Downtown) presenting One Last Thursday - The 2017 Lock Down. 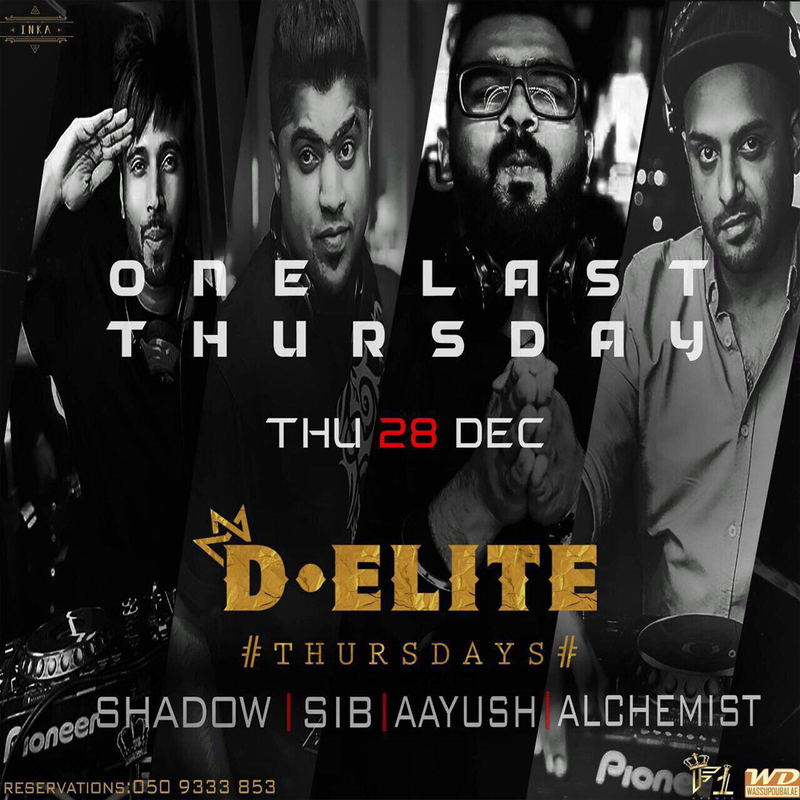 Music By the citys most talented Quartet: DJ Shadow, DJ Sib, DJ Aayush & DJ Alchemist. 6 Hours of Non-Stop Madness from 9 pm. Rumors dont do justice...Be there to witness the hype!